Samford University’s Healthcare Ethics and Law Institute (HEAL) will focus on “The Ethics and Policy of Drug Pricing in the U.S.” during its annual conference on April 15. The conference will meet at Samford University in Cooney Hall from 8:30 a.m. - 3:00 p.m. Continuing education hours are available for nurses, pharmacists, physicians and social workers. Visiting speakers include 2016 Pellegrino medalists Patricia M. Danzon and Donald W. Light. Danzon, an internationally recognized expert in the fields of economics of health care, the biopharmaceutical industry and insurance, serves as Celia Moh Professor in the Health Care Management Department at The Wharton School, University of Pennsylvania. Pellegrino medalist, Light is a Professor of Psychiatry and Comparative Health Policy at Rowan University School of Osteopathic Medicine; a guest researcher at the Center for Migration and Development, Princeton University; and a guest researcher at New York University Division of Medical Ethics. He is widely known as a medical and economic sociologist who conducts policy research on institutional and global bioethics concerning access and quality problems for medical services or drugs. Following opening remarks from pharmacy school dean Michael A. Crouch, David Kimberlin and April Yarbrough will present “The Cost of Medicines: Where Policy Meets the Patient.” Kimberlin is a Sergio Stagno Endowed Chair in Pediatric Infectious Diseases and Co-Director of the Division of Pediatric Infectious Diseases at the University of Alabama at Birmingham. Yarborough is a pediatric infectious disease pharmacist at Children’s of Alabama. Prior to the Pellegrino Medal luncheon at noon, medalist Light will present, “Pricing and Good Value Blocked by Biased or Unknown Effectiveness and Costs” at 9:45 a.m. Danzon, will present “The Economics of Drug Pricing” at 10:45 a.m.
Additional presentations include, “The Pricing of Prescription Drugs: An Industry Perspective” by Richard I. Smith, past Executive Vice President for Policy and Research at the Pharmaceutical Research Manufacturers of America (PhRMA) and “The Ethics and Policy of Drug Pricing in the U.S,” a HEAL fellows panel discussion. 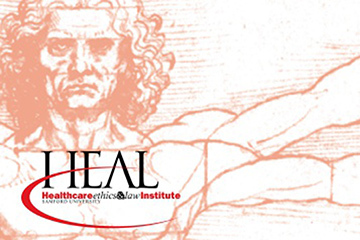 The HEAL conference, sponsored by Samford's McWhorter School of Pharmacy, is designed to help Alabama institutional ethics committees of all levels with some of today's most pressing health care ethics and law issues and problems. Registration is open to committee members, physicians, nurses, pharmacists, chaplains, administrators and others interested in ethical decision making in health care. Registration is $99 and space is limited. Advance registration is encouraged. You may register online or by mail or fax.